What's In It For My Unit? Can You Meet My Special Needs? When Do I Get My Beads? Who Can Attend a Wood Badge Course? Wood Badge is a contemporary training program for all Scouting leaders. It has been developed for adults in Cub Scouting, Boy Scouting, Varsity Scouting, and Venturing, as well as district and council leaders. Wood Badge is most beneficial when it is taken early in a Scouter’s career. The national council of the BSA recommends that all Scouters take this training within two years of registration. Note: Individuals who have attended Wood Badge in the past (either Cub Scout Trainers’ Wood Badge or Boy Scout Leader Wood Badge) may attend Wood Badge provided that: (1) they agree to write and work a Wood Badge ticket; and (2) they agree not to wear Wood Badge beads until they have satisfactorily completed their Wood Badge ticket. In the event that a waiting list is required, preference will be given to those who are taking Wood Badge training for the first time. What are the prerequisites for attendance? Have completed basic training for the Scouting position that you will hold when the course weekends are completed. (The basic training requirements for each leadership position can be found on the Monmouth Council Training Website. Successful completion of the BSA Annual Health and Medical Record is required for all participants. Recognize the contemporary leadership concepts, used in corporate America and leading government organizations, which are relevant to our values-based movement. Apply the skills you learn from your participation as a member of a successful working team. The principal objective of attending Wood Badge is to learn how to apply contemporary leadership skills to your specific job in Scouting, so that you can help to deliver a high-quality program to the youth you serve. As a bonus, though, these same leadership skills are applicable outside of Scouting as well. For most participants, the Wood Badge experience is the embodiment of everything that is Scouting: fun, fellowship, leadership, spirit, and teamwork. In fact, many Scouters consider Wood Badge to be one of the highlights of their Scouting careers.Wood Badge has served as a source of training and inspiration to thousands of Scouters. In return, these Scouters have had a profound, positive influence on the lives of millions of America's youth. What's in it for my pack, troop, crew district and/or council? The primary purpose of the Wood Badge experience is to strengthen Scouting in our units, districts, and local councils. The Wood Badge "Ticket" represents your commitment to complete a set of personal goals relating to your Scouting position. By accomplishing these goals and achieving your vision of success you will significantly strengthen the part of the Scouting program in which you are involved. By practicing and demonstrating a working knowledge of the leadership skills presented during the course you will help to provide a high-quality Scouting program for the youth whom you serve. For example, let's say your unit is complaining that they do the same old thing every year. Wood Badge will teach you the skills needed to improve your program. Here are some of those skills; brainstorming - creating new ideas, decision making - selecting the ideas you want to implement, creating a vision - developing your plan for the future, communication - letting everyone know your vision, project planning - the plan to make it happen, leading change - getting everyone behind the project, team development - knowing how to manage the team through the project and managing conflict - people don't always like change. How many training sessions are involved? Wood Badge training requires a significant time commitment.There are two phases of WoodBadge training: the practical phase, followed by the application phase. Successful completion of both phases is required to earn the Wood Badge beads. The practical phase of Wood Badge training is delivered over two three-day weekends, where the participants and staff will be formed into a model Boy Scout Troop, which will se rve as a laboratory for training purpose s. We areanticipating a full course , which will consist of 8 patrols of 6 participants each. The first weekend reflects troop meetings that would be held over a typical program month to plan for a camping activity at the end of that month.The second weekend uses that troop camping activity as its delivery model.Two patrol meetings will be held between the course weekends. Attendance at all sessions and meetings is required. During the application phase of the course you will have up to 18 months to apply, in your specific Scouting job, the leadership skills that you learned during the practical phase. The two three-day weekends will be held at Quail Hill Scout Reservation in Manalapan, NJ . The dates and locations of the two patrol meetings that will be held between the two course weekends will be se lected by the members of each patrol. What materials does the course provide? The course will provide you with a 3-ring binder and a metric boatload of handout materials for the various presentations. You also will receive a course mug and hat, and a daily newsletter that will provide you with invaluable information and memories of your experience. During the first weekend the course will provide all meals and table settings (cups,plates, etc.). For the second weekend the course will provide money to each patrol for the purchase of food, within a budget that will be identified during the first weekend. Shower facilities will be available at the pool house during both course weekends. Oh,and let's not forget that the course will provide you with extensive opportunities to learn, have fun, and most importantly be challenged to deliver a stronger Scouting program to the youth you serve. What do I need to bring? What should I leave at home? On the first weekend you will be asked to bring a personal tent and gear for sleeping outdoors. If you do not own a tent and are unable to borrow one, we will need to know this so that we may make alternate accommodations available for you.Trail camping equipment will be needed for the second weekend (barring any extraordinary medical needs that you mighthave). Each patrol will provide the cooking and other equipment necessary for low-impact camping according to the Leave No Trace outdoor ethics. The field uniform (commonly called Class A) is required for Wood Badge. This will be the uniform that you wear for your Scouting leadership position. In all cases, insignia must be properly worn on the uniform. The activity uniform (commonly called ClassB) will be worn when not wearing the field uniform. The shirt or blouse must be from a Scouting unit, activity, or function. You may want a laptop/tablet to use at night for course homework. The course is not responsible for securing these items, so bring at your own risk. Please leave all electronic equipment at home. If you really must have a cell phone or pager with you, we suggest that you leave it in your vehicle or at least set it to silent to avoid causing a distraction during the course. What happens if I have special needs? Any specific personal needs such as (but not limited to) religious, diet, and medical needs must be made known to us before the course begins. Before the start of the course you will receive a packet, which will contain instructions for communicating these needs to us so that we may address them. We will Do Our Best to accommodate your needs. Many scouting units and councils provide financial support to leaders who want to take Wood Badge, so if cost is a factor please check with your unit leadership or Scout Executive for information on availability. Employers often provide financial support to attend Wood Badge in recognition that the leadership skills that you will learn are valuable in the business world as well as in Scouting. Outside organizations such as the AFL-CIO and the VFW offer scholarships to attend WoodBadge. Applications for thee scholarships may be obtained from your council se rvice center or downloaded here: AFL-CIOScholarship; and VFWScholarship. 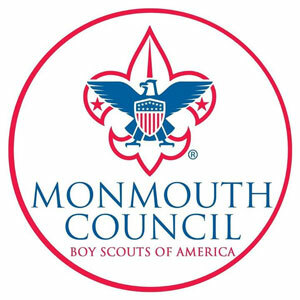 Finally,the Monmouth Council offers a limited number of Wood Badge scholarships to Monmouth Council Scouters with financial need. For further information, please contact Tom Bogart, the Council Wood Badge Coordinator. One of the great traditions of Wood Badge is the Ticket.The Wood Badge Ticket represents your commitment to complete a set of personal goals. The Ticket also provides a way for you to put into practice the contemporary leadership skills learned during the course weekends, and to use those skills in your home unit, district, and council. You will start with a clear picture of what you want to do to be successful in your Scouting leadership role (i.e., to make the Scouting program better for the youth whom you serve), based on your own values. Then you will create a well-defined set of goals that will enable you to achieve that vision. Your Ticket is a contract with yourself. However, you won't be working alone.During the course a staff member will guide you in developing your Ticket. After the course you will be assigned a Ticket Counselor,who will serve as your mentor to help you complete and approve the completion of your goals.Your Ticket Counselor is assigned by the Course Director & Council Training Chairperson. It will always be someone from your home council, it will rarely be someone from your home unit. The bottom line is that by "working your Ticket" and applying the Wood Badge leadership skills to your specific job in Scouting you will be better able to deliver a high-quality program to the youth you serve. When will I get my Wood Badge beads? To earn your beads, you must complete your Wood Badge Ticket no later than 18 months after completion of the practical phase of the course.Your Ticket will be complete when you and your Ticket Counselor agree that you have accomplished what you set out to do. Your recognition of completion of Wood Badge training will be presented at a time and place of your choice. Registrations will be accepted on a first come, first served basis as space is LIMITED. Apply ONLINE today. Once your ONLINE registration has been processed by the Course Staff and approved by your Scout Executive, you will be sent an acknowledgement that you are registered for Wood Badge course. You will be given further instructions on how to submit the balance of funds owed. Approximately six weeks prior to the start of the course you will receive a letter with details on uniform, equipment, and course expectations.